Why Do We Still Bother With Hospital Radio? 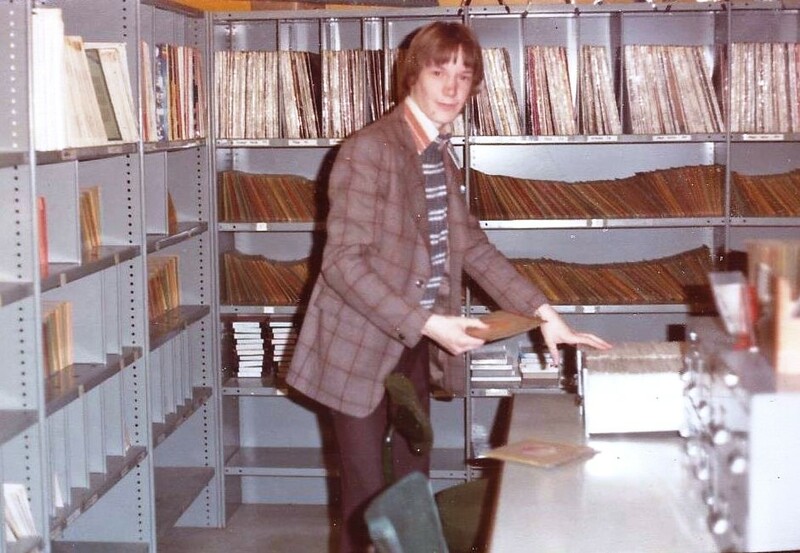 The poor hospital radio station in Tunbridge Wells, which has enjoyed a rich history and spawned a few current radio presenters, is under threat of closure. There's just not enough money. Seizing that as the angle, BBC Radio Kent merrily invited me on-air to talk about the future for hospital radio. They called me a 'radio historian', as they introduced a half-awake me. I wasn’t sure whether to be pleased or annoyed. Like many, I’ve a very soft spot for my time at the hospital station in Nottingham, NHR. Lena Martell's 'One Day at a Time' was the most requested song. I can even remember the catalogue number. Judging by the pic, I clearly spent more time remembering that than co-ordinating my clothes. The grimy stethoscope radio carried all the usual radio channels. When I say the usual channels, let's remember there weren't very many. You could just about get Radio 1, 2 and 4 - and BBC local if your town had bothered launching one. The chap in charge of the official hospital tuner had clearly not yet discovered commercial radio - or found it too noisy. A decently run hospital radio station was, accordingly, a welcome addition to the ‘dial’. What's more the presenter had even troubled to come to see you on your TCP-smelling ward a few hours before mispronouncing your name on the radio. A seemingly endless day in hospital became just a little cheerier. Let's remember too that these were the days when, to get a request on a 'proper' station, you’d have to write in on Basildon Bond, with an envelope and stamp, and then devote every waking hour for the ensuing month to listening, lest you were mentioned. So, a surefire dedication - and an actual song request was actually quite a treat. Now, you can smuggle in your own phone or MP3 player and play your favourite ballads 'til you cry. You can also select from the many radio stations now on offer in your town, or stream one from Hungary if you wish. And, you may even have your own little TV in those hospitals which have those posh, expensive bedside ones fitted. Given such an array of entertainment, why on earth do we still need hospital radio? Some of today's hospital radio presenters are rather good. Such folk annoyingly get jobs quickly at one of the hundreds of professional stations and likely forsake their volunteering with a dainty shoulder-shrug. Some of the decent ones don’t even trouble to hop on the bus to volunteer in the first place, because they are merrily making programmes in their bedrooms on proprietary software which would have been the envy of any hospital station in the 70s. They don't need to suffer hospital radio politics to vent their creative spleen. So, with a challenge for audience, and a paucity of the right staff, maybe they should just give up. In several cases, that's probably exactly the right thing to do. The other option is to try harder. Devise a strategy fit for this century and deliver it with professionalism and energy. The quality of University Radio has rarely been higher. The SRA awards are a major event in the drunken radio calendar, and I rarely fail to pinch an idea from an entry whilst I'm judging. I believe those confident stations have stopped trying to sound like conventional ones. They break rules, invent and do their own thing. They are programmed uniquely to their own specific audiences, rather than trotting out today's best mix. In short, they’ve stopped being 'me-too' stations on-air; and they are judged too by the contribution they make off-air on the campus. The best ones are part of the fabric of university life - and sometimes a reason the choose a particular uni. If hospital radio is to survive it needs to take itself seriously. It needs a new strategy. Is your station's brand essence really just about creating great radio, which everyone else does, or is your business really about making people's time in hospital better? Once your strategy is clear, the delivery follows. Do you just recruit hosts of wannabe disc jockeys - or do you recruit a varied range of volunteers who contribute in a host of ways. Do you have the sort of people who can give time to patient visiting? Do you have people who can manage fundraising, and help polish the PR with local benefactors. Who cultivates hospital management relationships and political relationships? Most importantly, do you have a leader? On-air, you need to be as focused as the best FM radio station. They are your competition. What sort of people stay in your hospitals? How old are they? Do they want music or company? What sort of music? Have you got the right sort of mature communicators on-air, even if rough around the radio edges? Imagine who your typical listener would rather have a coffee with. Would it be 60 year old Beryl, with a fund of stories who's seen heartache and happiness, or spotty 17 year old David Lloyd? Only do what you can do best. On our old station, we used to have an organ music show because we had a lovely bald bloke volunteering who liked organ music. Sound formatic considerations should govern your on-air policy, regardless of the age of your eager volunteers, or their music preference. In general terms, it's a fact that perfect radio would be one station per listener. Imagine a radio station which only and always did what you wanted when you wanted it. Statistically, hospital radio is probably closer to that than any other form of radio. Your station - and the overall experience it delivers - can be almost perfect for the worried woman on Nightingale 2 ward whose husband works away and visits rarely. Make sure it is. Or close down. NOTE: The Hospital Broadcasting Association commissioned an independent piece of research into the impact of hospital broadcasting on health outcomes for patients. A UK wide study was completed involving over 250 individuals including patients, staff and hospital radio volunteers. I'm touched by so many kind comments about my book 'How to Make Great Radio'. Thank you. Hi David - how timely for you to be doing a post on this subject. I spent Monday evening talking to a Chairman of a Hospital Radio Station about these concerns. The HBA (Hospital Broadcasting Association) commissioned a report of the 'Impact' of Hospital Broadcasting seen at https://www.hbauk.com/impact within the last year. It is my belief that the real benefit of Hospital Radio comes from visiting the patients and then playing their records. All the other stuff is filler. To improve the filler the phone lines should be open allowing anyone to request a song whenever they want. I think stations need to look to the trust and see if there is anything extra they can offer them. Perhaps they would like some music and information broadcast in the waiting rooms and clinics around the Hospital. Perhaps the physiotherapy department is after producing some audio content. Could you open your studios or one studio up to the Hospital Trust to use for 'In Quality' interviews with Media. Could you look to venture into Video production for departments to use thus attracting different volunteers? More and more stations need to be thinking about delivering value to the Trust as well as the Patient/Listenner. I think in around 15 years time healthcare and technology may well not give you many overnight listenners. Just some thoughts. Thanks for all your do David and your great book which all Hospital Radio Volunteers should read. Matt - A Volunteer for Hospital Radio Chelmsford for 25 years. I used to sit in on "Sidders and McGee's Jolly Outing" on University Radio Exeter in the mid 90s. Friday night show. Great fun. As you rightly point out, the ability to listen to a particular song on demand is now commonplace. Yet I hear so many in HR speak as if requests are still the be all and end all. No, they should simply be the first point of contact. One of many reasons to engage with the presenters, and something which leads to a broader listening experience. Despite the other avenues available for budding presenters, HR could still be a fine place for emerging talent. Without advertisers, or a board of governors to please, there ought to be plenty of scope to be creative. Yet, on numerous occasions, I've seen enthusiastic and promising newcomers put in a straightjacket by the "this is the way we've always done it" brigade. The method of delivering the service also urgently needs to evolve. Failure of the bedside systems is a major complication in some hospitals; the one I work in probably has half the number of working sets it did 10 years ago. Streaming, apps or even DAB options must be pursued more vigorously, just to maintain a reasonable audience reach. In the short term, I strongly believe HR has a future, but carrying on as we always have, hoping for the best, definitely isn't it. 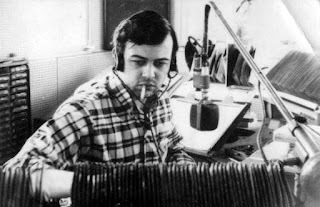 I did hospital radio in the very early 90's. While I was "PC" I introduced a music policy for our "mainstream" shows, and provided four playlist songs an hour (e.g. : Minnie Ripperton, Jim Croche etc) taken from our extensive log of requested songs to help guide presenters to follow suit. We eventually introduced "branding" with a consistent sound and voice, that's was fit for purpose with few or no CHR whizzes and bangs, just well and softly spoken voice over music beds (or dry), a clock position for promos and last one - a strapline that wasn't about cheesily being "your friend in bed" or "the healthy sound" - we did "your songs, your station" before anyone else had the "your/your" idea. All volunteers had to go through a training programme which included weeks of request collection duties (that cut through the wannabes but let the talented and focused ones find a way through). I had two commercial radio broadcasters go through in my time, one has been part of the London scene for the past 10 years. At times I look to see what my old station does - it's still got some of the people there who predated me. But I do think it, like many, has lost its way. HR needs to look seriously and be honest with its members. What are we here for... to help the patients or to learn to be a DJ? Those with the second ones shouldn't really apply, unless they are willing to sign up at first to the first. I made plenty of mistakes and learnt from them - I went in all guns blazing, but came out the other side and have been one of the lucky ones for the last 24 years. I really hope HRTW along with others find their niche (don't be afraid if niche - I should know!) and proudly do it. The death of hospital radio is inevitable. The only thing up for debate is the time scale, twenty or thirty years perhaps? And i say that as a HR volunteer of 28 years. My local HR recently tried to raise £12,000 via on-line charity drive. They got about a third. That says something. While the concept of HR is noble, the reality is very different. I was a volunteer at the station for a few years and enjoyed the opportunity to bring some cheer to a few patients; the optimumword here being few. I finally realised the time and effort expended by all the volunteers, raising money, doing shows, etc, could be better spent. The money raised to run the station could perhaps have been spent on hospital equipment or provide some other hospital service, like free transportation to the hospital to avoid exorbitant car parking charges. In today's environment the effect of HR is really gone. Thought provoking indeed.I started in hospital radio in 2003. The first thing that struck me was the huge clashes of egos from the upper levels telling me it's our way or no way. Undeterred I pushed for a show that I would want to listen to whilst in hospital eventually winning through. The egos departed eventually and what remained was a fantastic station with a core of great presenters, I learned massive amounts from these people, more than I gained from the straightjacket induction. Best thing I learned was ward visiting, it gave me an insight into my listener, their needs, their hooks, it was massively rewarding. I eventually moved into community radio but still remain in contact with my old hospital station,an asset and a lifeline for many. There is the question of how hospital radio is funded and if it is by public donations as a charity then it may be attracting money that is needed for more deserving and needy causes. The scope and variety of broadcast and Internet services nowadays makes the argument for hospital radio highly doubtful and the visiting of patients does not require a radio service to be made possible. Some organisations already provide visiting services to cater for the needs of those who don't have friends or family who can visit regularly. 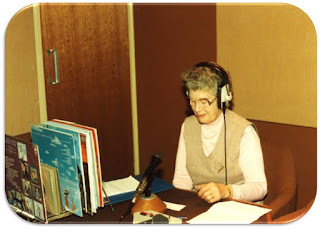 Hospital Radio shows could quite easily be provided in many areas on community stations which would make them available to both patients, relatives and friends locally. It's a shame that there are not many arrangements of this type as it's surely a much more efficient use of facilities. Hospital Radio on a single site basis may still have some validity if it can be operated at no cost to the public. Hospital Radio Networks are a very different proposition and have zero validity as they are often as remote as local community and commercial services and compete for donations that have a more deserving cause. What About the Old Folk?